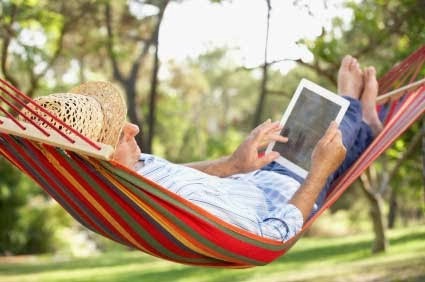 Everyday more and more seniors are logging on to their computers, smart phones or tablets. Until recently email was the predominant utilization of technology among this crowd. However, a landmark study from The Pew Research Center conducted in 2012 showed one of three internet users now include use of social media and seven of ten seniors own a cell phone. Why so popular? Social media is a great way to stay connected. Loved ones that live across the country, physical limitations or lack of transportation can contribute to social isolation which can lead to depression, fear and stress. Technology and use of social media can keep users engaged, supported and informed. Social network sites are web-based services where users can create and post a public profile. You can also search profiles of other users. Once you locate another user from your search you have the option to add their content, like photos or videos, to your profile. In turn this creates an online community of people connecting with others of common interest. The most popular gatherings being Facebook, LinkedIn, Twitter, and blogs. To enjoy all the benefits of joining the online community you will want to learn the basics of social media. Many local libraries and community centers offer computer classes and SeniorNet.org, a non-profit organization, has online learning resources as well. There are many books on the subject as well, though you could always ask a younger family member or friend. My niece and younger colleagues have taught me about Twitter and how to navigate my smart phone! Although it is fun to connect with others on social media sights you will want to follow these safety tips from Microsoft: Read these tips to help protect yourself when you use social networks. ▪ What was the name of your first pet? ▪ What is screen scraping? use an alternate method to contact your friend to find out. This includes invitations to join new social networks. For more information, see Scammers exploit Facebook friendships. Assume that everything you put on a social networking site is permanent. Even if you can delete your account, anyone on the Internet can easily print photos or text or save images and videos to a computer. And always, think twice before you use social networking sites at work. For more information, see Be careful with social networking sites, especially at work. Otherwise, happy tweeting, friend-ing, following, sharing and liking! SeniorNet.Org: Founded in 1986; offers discounts on computer-related and other products and services; holds regional conferences for volunteers; and collaborates in research on older adults and technology.